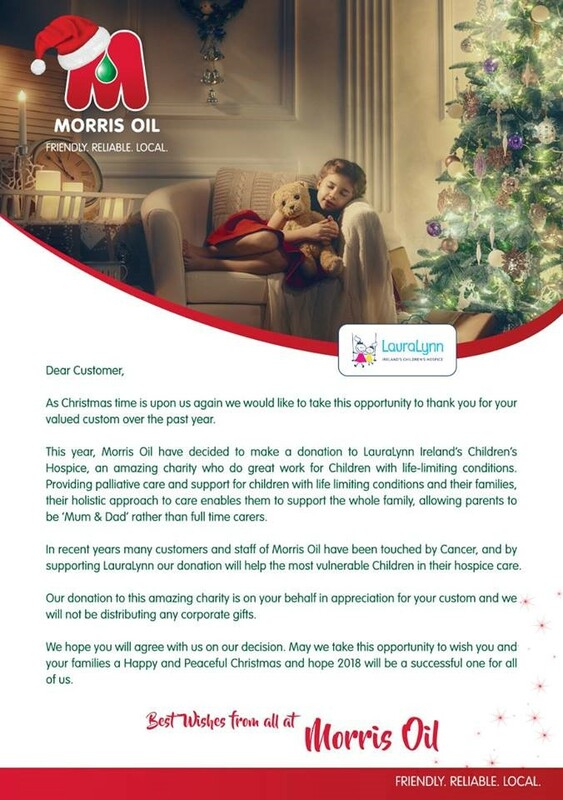 As Part of our ongoing commitment to our corporate social responsibility, Morris Oil has a proud tradition supporting worthy causes in our locality. Below are just a sample of some of the recent donations in our local community. Promotion with Solas Centre Waterford. 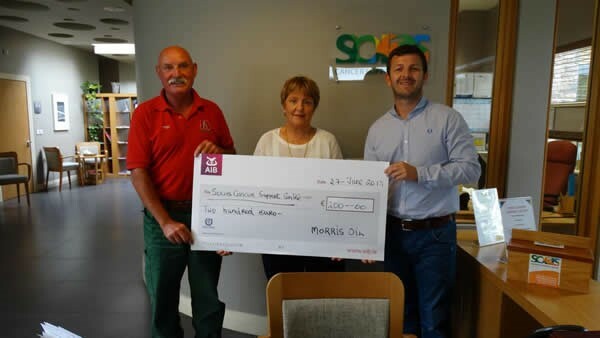 Morris Oil representatives for their very generous donation of €200.00 to support our services, funds raised from a recent oil promotion. 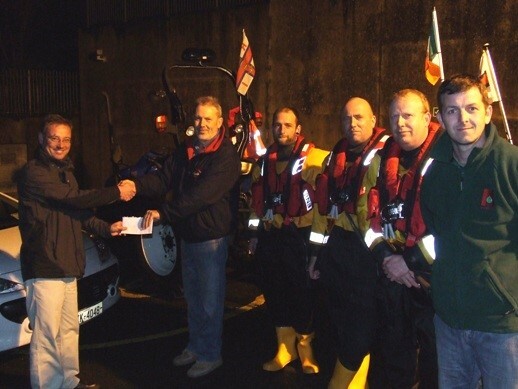 Pictured below isSolasvolunteer, Feene Cunningham accepting the cheque from Morris Oil staff following a recent promotion. 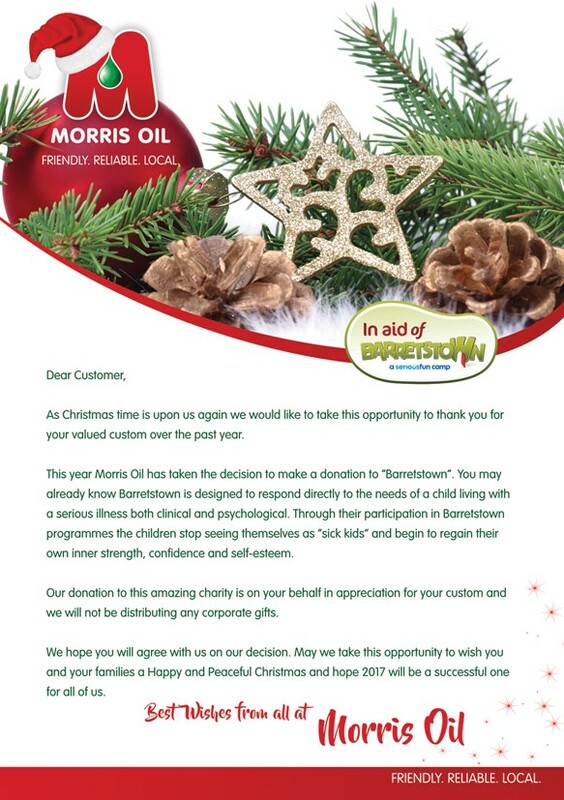 Morris Oil is delighted to be ablesupportSouth East Simon as part of our Christmas Donation. 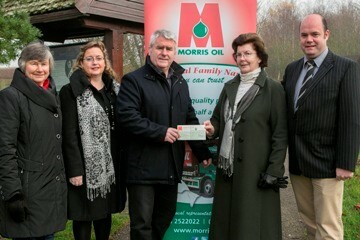 This year Morris Oil is delighted to be able to make a donation to 2 charities for Christmas 2012. Morris Oil local representatives made a donation to South Tipperary Hospice movement & to the Waterford & Cork based RNLI, as both these charities are close to the company’s heartland and we hope that our donation will assist these very worthy charities in their work .As we are not be distributing any corporate gifts this year this donation is on your behalf to recognise the tireless work and dedication that these charities do in our local communities. In 2010, Morris Oil took the decision to make donations to the charities listed below on your behalf in appreciation for your custom and will not be distributing any corporate gifts. This donation is to recognise the tireless work and dedication that the following organizations do in our local communities. We hope you will agree with us on our decision.